Kohl's offers The Big One Standard Microfiber Pillow for $3.99. Coupon code "BASKET" cuts it to $3.19. Opt for in-store pickup to dodge the $8.95 shipping fee. That's tied with our mention from three weeks ago, $7 off list, and the lowest price we could find. Deal ends April 20. Note: It's also available in King for $9.59 via the above code, and you can purchase two standard pillows for $5.60. In the past, it wasn't very Apple-like for the Cupertino company to introduce cheaper models to its fleet of existing iDevices. But ever since March 2012, when the company kept the iPad 2 in rotation at a lower price point, it has seemed as if we're witnessing a shift in Apple's marketing strategy. In fact, just last week Apple announced a smaller 16GB version of its 5th-generation iPod touch priced at $229. At $70 less than the 32GB model, the latest iteration also comes with some tradeoffs. While Apple did away with the much beloved 5MB back camera, this could be a smart move by the manufacturer, who hopes to grab first-time device users with a low price and hook them as future buyers. However, as many dealnews readers know, it may be smart to hold off on this Apple device; if history has taught us anything, it's that that $229 price tag could drop even further. 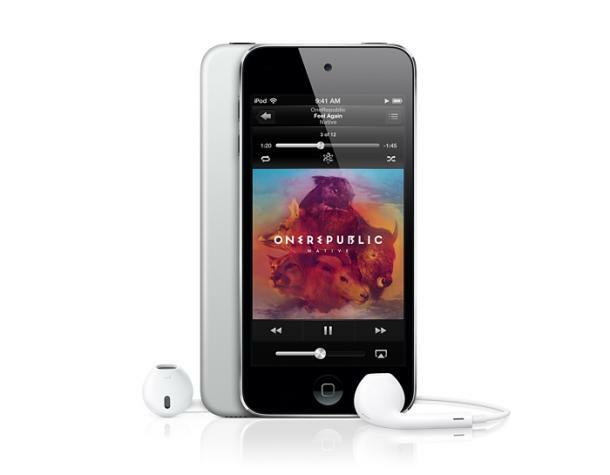 First off, for $70 less you should know what else Apple nixed from the iPod touch's features. Not only is there no 5MB rear-facing camera (which is found on the 32GB and 64GB models), but the photographer-friendly Loop hand strap device has been removed from the touch's design as well. Gone too are custom colors — the new 16GB model comes only in black and white. Yet for $229, you still get an iPod touch with a front-facing Facetime HD camera, 4" retina display (something that was cut from the iPad mini to make it a cheaper alternative to the main tablet line), A5 chip, and Siri. Apple also reduced the new touch's weight slightly, making it 0.06 oz. lighter than other 5th-gen iPod touches. With its slimmer designer and price, these new iPod touches are a way for Apple to introduce its brand into more households and make itself relevant to entire families. But if its price is still too steep for your budget, it might not be soon enough. If the 16GB model follows typical Apple deal trends, then we should see a discount from resellers not too far in the future. According to our guide about when to buy a Mac, three months after the 32GB 5th-generation iPod touch was released last year, we found deals that dropped its price by $50. Since the 32GB retails for $299, that's a 17% discount. The same percent off would drop the 16GB model to $190 in three months time, or at the beginning of September. These price cuts seem all the more likely when you consider that the aforementioned discount on the 32GB touch wasn't a fluke; past touch models saw similar deals, and Apple products in general have a history of seeing discounted prices a few months after their release. For example, the iPhone 5's price tag was reduced by $73 just three months after going on sale (offered by Walmart and Fry's Electronics), and the most recent iPad was $59 off after one month. Keep in mind, however, that you'll need to scour resellers like Mac Connection and Amazon to find these deals. Interestingly, such discounts on the 16GB touch would put it in striking range of the other introductory Apple device, the iPod nano. In the past two months, deals on current-generation 16GB nanos have averaged $129. So if the newest iPod touch falls to $190 via a discount, it would cost just $60 more than even the best nano deal — and only $41 more than the nano's retail price. This may support Forbes' prediction that the newly-priced touch will "cannibalize" the nano, which could be exactly what Apple wants to do. The discounted iPod touch is an introductory system that may get customers hooked on the user-friendly iOS, and set them up to become iPhone, iPad, and even Mac users in the future. It's a smart move by Apple, which may be looking to gain more than its current 9% market share of mobile phones, according to the research company Gartner. Does a Cheaper iPod touch Mean the Budget iPhone Rumors Are True? Beyond enticing iPod touch prices, most industry analysts are excited about this release because they believe it legitimizes rumors that a cheaper iPhone is also on the horizon. While it's all just speculation at this point, analysts believe that if Apple can release a cheaper iPhone and iPod touch, the company may regain some of the market share that it has lost to Android. Again, Apple might already be on it. As Reuters reported last month, the Chinese corporation Pegatron Corp., which assembles iPhones and iPads, announced it would increase its number of workers by 40%. In the same article, a Fubon Securities analyst told Reuters that substituting the metal iPhone 5 casing with a plastic one — resulting in a cheaper iPhone — would increase Pegatron Corp.'s profit margin. Sure, neither tidbit might turn into a cheaper iPhone, but rumors abound. Regardless of what the latest iPod touch means, one thing is certain: if you're itching for Apple's latest release, you may want to wait a few months more to see if resellers offer the typical price drop. Sign up for an email alert now, to receive notification as soon as we post such a deal to the site.